If it is not feasible to decontaminate items then they MUST be disposed of in a responsible manner to ensure that your infestation does not become the source for others. In some countries you can be legally held responsible if your items are incorrectly disposed of an infect others, even if they collected them from the curb side. Unless carefully managed you run the risk of spreading the infestation through the rest of your property making the removal of bed bugs a lot harder. Wrap and seal the items to be removed while they are still in the infected area. Use either saran wrap / cling film or thick polythene sheeting to ensure that the item is 100% contained and there is no risk of spreading the insects further. If you are leaving the wrapped items in a publically accessible are use the images below to ensure that others do not bring an infestation into their homes. Unless an item is heavily infected and marked to a point where it is unsightly it does not need to be disposed of. This is particularly true with beds, mattresses and items of furniture. To dispose of these often add significantly to the cost of bedbug treatment and is a strong indication that the person treating is not an experienced bedbug professional. Many items such as clothes and fabric can be decontaminated through a hot wash cycle as long as the temperature is above 60°C or 140°F or by placing in a tumble dryer on high heat for at least 60 minutes. 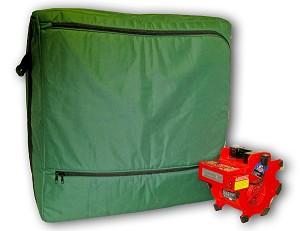 In recent years have also seen the development of the PackTite personal decontamination system which uses hot air to kill any bedbugs in items such as suitcases, clothes and books. 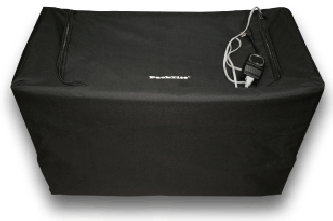 PackTite can provide an invaluable assistance to those dealing with bedbug infestations and is often used by frequent travellers to ensure that they do not bring unwanted guests home. Infected items of furniture can be decontaminated and these options should always be investigated prior to any decision to dispose of items. Some bedbug specialists are capable of working on infected items by hand to ensure that they are clear, this can either be done in the treated location or at decontamination facilities. Another method is the use of Vikane fumigation or thermal treatment where vehicles, homes or sealed items can be processed. This approach may not be available in all locations and is a decision that should be made in conjunction with your pest control professional. The image can be saved as a jpg and resized as needed. With out identifying infected items there is a risk that they will be collect and infestations spread. 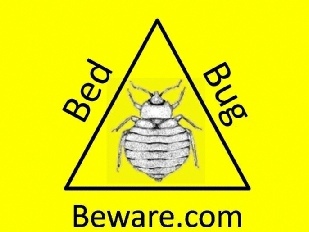 Please act responsibly in spreading the word and not the bedbugs. Leaving things outside for hours/days/weeks/months due to cold or heat - although these processes can work in controlled environments they will not reliably work. Leaving things in the car for hours/days/weeks/months due to the cold or heat - again this is not a controlled enough environment for this type of process to reliably work. Dry cleaning - no dry cleaning process will reliably eradicate bedbugs and you could be inadvertently spreading them to others. Using your domestic oven - this is a fire risk and not advisable. Using a microwave oven - this is EXTREMELY dangerous and does not kill bedbugs in a safe time period. Using a hairdryer - this is not reliable and can blow bedbugs around your room. Sealing items in rooms with excesses of aerosol or fogger based insecticides - this is a fire and explosion risk. 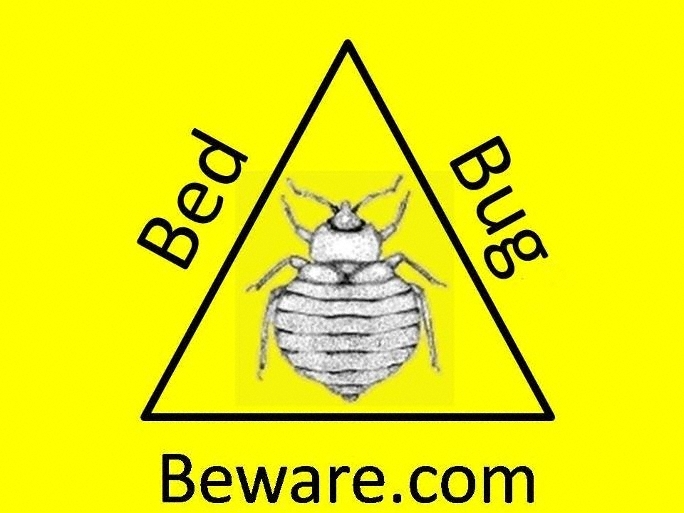 Please always be safe when seeking solutions for bedbugs the wrong mistakes can be costly in terms of re infestation and damage to your home.